Can I get a ride home after I have dropped my car off? Can the liable party pay for my repairs? I Have Made A Claim, What Next? 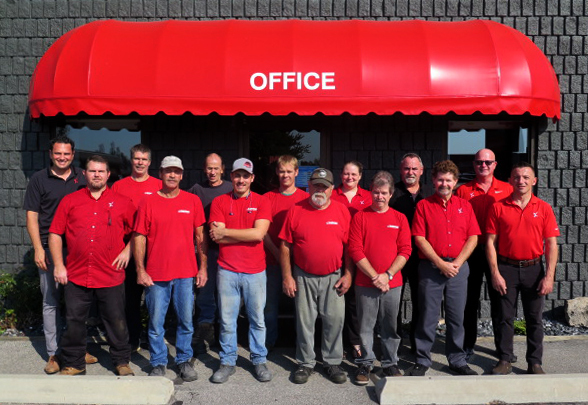 We provide a full range of collision repair in Chatham-Kent. No matter the extent of your damage, we strive to get you back on the road quickly and efficiently. Our talented technicians combined with the latest equipment can restore your damaged vehicle to pristine condition. If you have suffered damage from vandalism, theft, or an act of nature, CARSTAR Imperial are here to service your auto repairs in a timely fashion. CARSTAR Imperial works alongside your insurance company to restore your vehicle with the quality workmanship that you would expect. Let CARSTAR Imperial restore the lustre of your vehicle. Our experienced team are happy to assist you with minor rust, restoring paint finishes, from chips and blemishes to scuffs and dents, you’ll know you’re in good hands. Have a ding? Give us a ring! "CARSTAR Imperial, your kindness was very much appreciated. A big thank you to Marty & staff for the awesome work you did on my green Ford truck!! I sure did appreciate you friendly service, including the loaner car making my life so much easier. I’m so pleased! So thanks again for the great job."